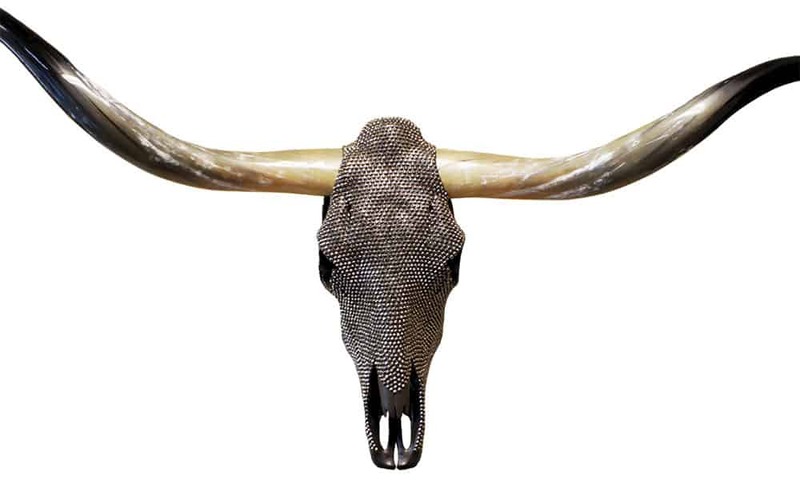 Add a bit of old Hollywest glamour to your decor with a WesTique Designs steer skull covered in rhinestones, mirrors, or guitar picks. COWGIRL™ editors discovered these brilliantly adorned longhorn skulls at the Cowboy Christmas Gift show December 2013 in Las Vegas. 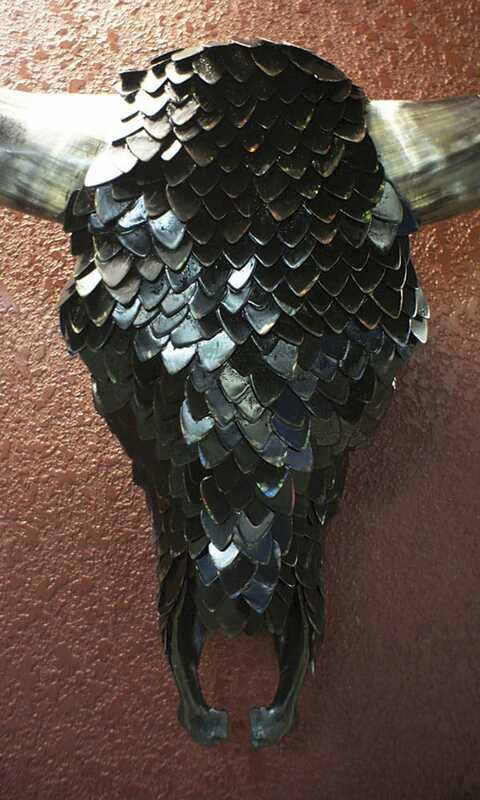 The skulls may be embellished with crystals (colored or clear), mosaic mirror bits, or unique elements like guitar picks! The horns are left natural, creating an organic/elegant fusion that is visually intriguing and viscerally beautiful. 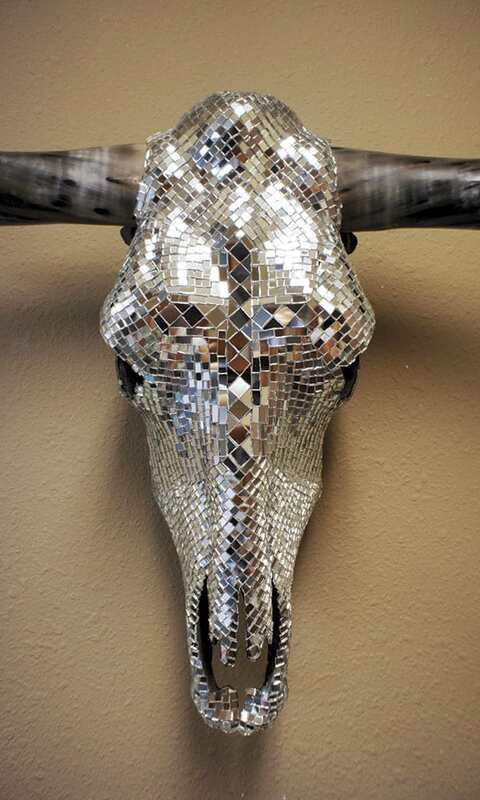 We loved the glam-ranch vibe and the fact that the skulls—each unique and hand-crafted—are perfect for more contemporary, elegant, and “girly,” western interiors. Of course, the guitar-pick version is the ultimate bad-boy décor element or gift! We predict the artist, Desiree Rodgers, and her twinkly, Texas-inspired creations will soon be sought after by stylish interior designers and cool cowgirls all over the West. For now you can find her on Facebook at WesTique Desi-gns, and on etsy.com/shop/WesTiqueDesigns. (Originally published in the March/April 2013 issue of Cowgirl Magazine).